Parker Grant doesn’t need perfect vision to see right through you. That’s why she created the Rules: Don’t treat her any differently just because she’s blind and never take advantage. There will be no second chances. When Scott Kilpatrick, the boy who broke her heart, suddenly reappears at school, Parker knows there’s only one way to react – shun him so hard it hurts. She has enough to deal with already, like trying out for the track team, handing out tough-love advice to her painfully naive classmates and giving herself gold stars for every day she hasn’t cried since her dad’s death. But avoiding her past quickly proves impossible and the more Parker learns about what really happened – both with Scott and her dad – the more she starts to question if things are always as they seem. ● The unique quality : There aren’t many books from the POV of a physically challenged teenager, and this was obviously interesting to read. The writing style was cliche but I like this kind of writing, it was quite captivating. ● The side characters: Gold. Somehow I could relate to a lot of side characters here. Weird. ● Certain parts were very realistic. I like how Parker isn’t really a likable character at first. Even as a whole most characters were very real, people you’d actually meet in your own high school. ● I love that this book focuses on Parker’s entire life rather than her love life specifically. The theme of friendship as depicted in this story is definitely worth reading too. ● The ending??! Like what is it with YA contemporary novels and weird endings? ● Scott. I am not sure if I liked him much at all. Comparatively unique YA novel with a well-constructed storyline. I didn’t love the ending, but if you like loose endings where the author leaves things to your own interpretation, this one is for you. 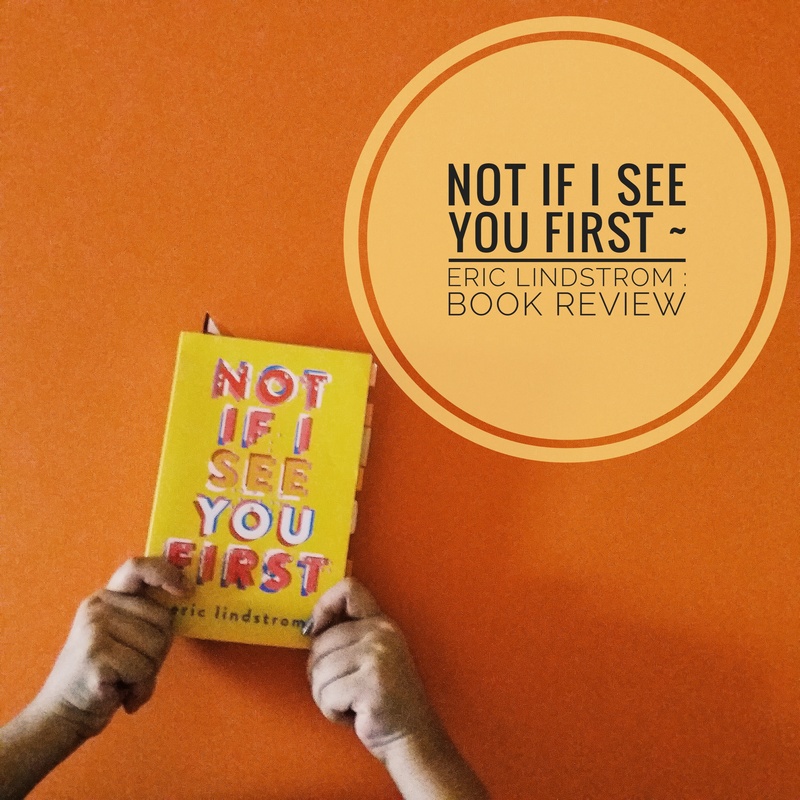 Even otherwise, Not If I See You First is worth a read because of its fresh concepts, steady pace and a wonderfully diverse group of characters.